A British vet from the Falklands War is to sell his South Atlantic medal at auction. Having used up his life saving fighting cancer, from which he is now free, Lance Corporal Jeremy 'Rocky' Rowe is aiming to raise at least £2,000 by selling his campaign medal. Ex-Royal Marine Rocky was on the Argentinian most wanted list for years after killing a seaman on board a captured Argentine submarine. The incident happened as the Royal Navy retook South Georgia in Operation Paraquet. 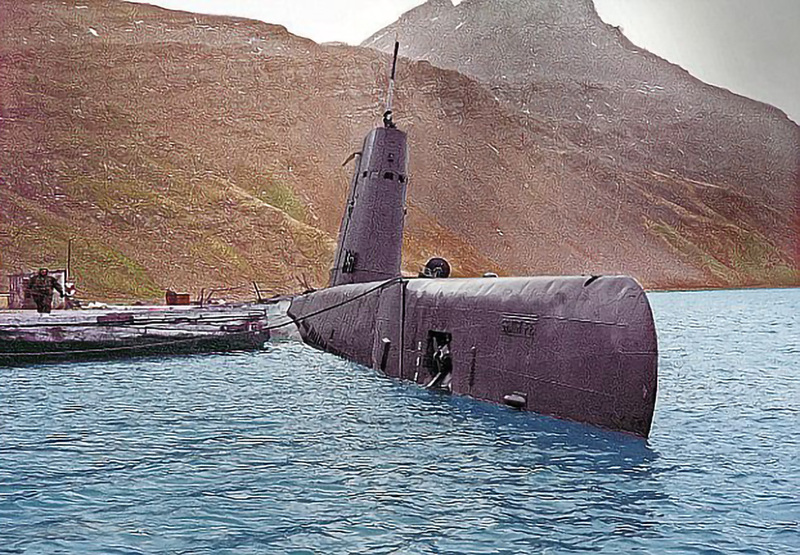 A RN Wessex helicopter spotted the Argentine sub Santa Fe, leaving the harbour at Grytviken on South Georgia and fired a number of missiles at it, inflicting significant damage, leaving it unable to submerge safely. Lt/Cpl Rowe was with 42 Commando which then overwhelmed the defenders, taking 140 prisoner. Three marines, including Rocky, were tasked with watching an Argentine skeleton crew as the sub was sailed away from the only jetty in the harbour. He had been brief to watch for any attempts to scuttle the sub and the Argentine sailors were warned against doing so or touching the controls. Despite this, Petty Officer Felix Artuso suddenly reached for control levels that Rocky had been told would scuttle the sub. He automatically emptied his pistol into the Argentinian seaman. It later transpired that the controls would have corrected the list that the sub had developed but Rowe was cleared of any wrong doing at an inquiry. Artuso was buried with full military honours in the same graveyard as famed British explorer Ernest Shackleton while Rocky was tasked, in typical Marine black humour, with digging his grave and guarding the prisoners during the burial service. The South Atlantic medal with rosette is being sold with Woolley and Wallis on 1 May, with a reserve set at £2,000.